Young woman making grimace. 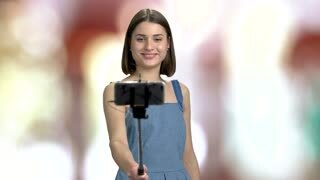 Brunette young girl smiling and showing peace gesture while holding monopod on blurred background. Man showing peace and taking selfie. 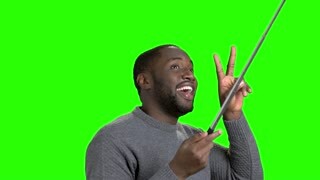 Cheerful afro american guy showing peace gesture and making selfie with monopod on green screen. 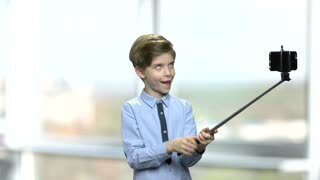 Smiling boy making photos using selfie stick. Making funny face, fooling around, victory gesture. Green hromakey background for keying. 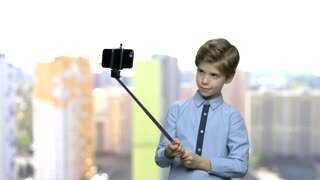 Cute boy using selfie stick. Cheerful young boy taking selfie with peace gesture. Funny child making grimace while holding monopod. Blurred Christmas background. Boy taking selfie using monopod. 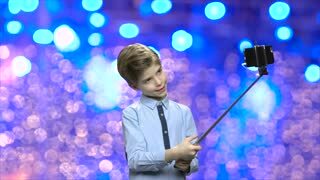 Cute stylish child having fun while using selfie stick on abstract Christmas background. People, modern technology and fun. Cute kid boy fooling around. 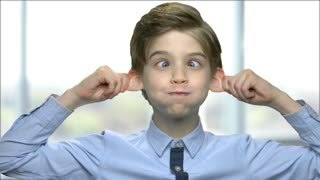 Close up boy pulling ears and cross eyes against blurred background. Cute boy showing peace gesture while taking selfie. 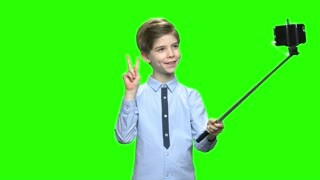 Preteen boy waving with hand while making picture with monopod over white background. People, modern technology, fun.